*6 years/72,000 miles (whichever occurs first) New Vehicle Limited Warranty on MY2018 and newer WV vehicles, excluding e-Golf. Remainder of warranty coverage transfers to subsequent vehicle owner. See owner's literature or dealer for warranty exclusions and limitations. ** Lease a 2019 Jetta S automatic for $225* a month, 39-month lease. For highly qualified customers through Volkswagen Credit. Closed end lease financing available through April 30, 2019 for a new, unused 2019 Jetta S automatic, on approved credit to highly qualified customers by Volkswagen Credit through participating dealers in Texas. Monthly lease payment based on MSRP of $21,005 less a suggested dealer contribution resulting in a capitalized cost of $20,666.78. Excludes tax, title, license, Dealer-installed options, and dealer fees. Monthly payments total $8,775 and include acquisition fee of $675. Your payment will vary based on final negotiated price. At lease end, lessee responsible for disposition fee of $395, $0.20/mile over 30,000 miles and excessive wear and use. An Early Termination Fee will apply. Lessee responsible for Maintenance during the term of the lease. Lessee is responsible for insurance during the term of the lease. Late fees may apply. See the team at Hendrick VW Frisco for all the details. ** Lease a 2019 Tiguan 2.0T S for $275* a month, 39-month lease. For highly qualified customers through Volkswagen Credit. Closed end lease financing available through April 30, 2019 for a new, unused 2019 Tiguan 2.0T S with automatic transmission, on approved credit to highly qualified customers by Volkswagen Credit through participating dealers in Texas. Monthly lease payment based on MSRP of $25,555 less a suggested dealer contribution resulting in a capitalized cost of $24.099.37. Excludes tax, title, license, Dealer-installed options, and dealer fees. Monthly payments total $10,725 and include acquisition fee of $675. Your payment will vary based on final negotiated price. At lease end, lessee responsible for disposition fee of $395, $0.20/mile over 30,000 miles and excessive wear and use. An Early Termination Fee will apply. Lessee responsible for Maintenance during the term of the lease. Lessee is responsible for insurance during the term of the lease. Late fees may apply. See the team at Hendrick VW Frisco for all the details. ** Lease a 2019 Passat 2.0T Wolfsburg Edition Sedan for $295* a month, 39-month lease. For highly qualified customers through Volkswagen Credit. Closed end lease financing available through April 30, 2019 for a new, unused 2019 Passat 2.0T Wolfsburg Edition Sedan, on approved credit to highly qualified customers by Volkswagen Credit through participating dealers in Texas. Monthly lease payment based on MSRP of $27,425 less a suggested dealer contribution resulting in a capitalized cost of $25,387.41. Excludes tax, title, license, Dealer-installed options, and dealer fees. Monthly payments total $11,505 and include acquisition fee of $675. Your payment will vary based on final negotiated price. At lease end, lessee responsible for disposition fee of $395, $0.20/mile over 30,000 miles and excessive wear and use. An Early Termination Fee will apply. Lessee responsible for Maintenance during the term of the lease. Lessee is responsible for insurance during the term of the lease. Late fees may apply. See the team at Hendrick VW Frisco for all the details. ** Lease a 2019 Golf GTI S Manual for $355* a month, 39-month lease. For highly qualified customers through Volkswagen Credit. Closed end lease financing available through April 30, 2019 for a new, unused 2019 Golf GTI S manual, on approved credit to highly qualified customers by Volkswagen Credit through participating dealers in Texas. Monthly lease payment based on MSRP of $29,425 less a suggested dealer contribution resulting in a capitalized cost of $28,781.60. Excludes tax, title, license, Dealer-installed options, and dealer fees. Monthly payments total $13,845 and include acquisition fee of $675. Your payment will vary based on final negotiated price. At lease end, lessee responsible for disposition fee of $395, $0.20/mile over 30,000 miles and excessive wear and use. An Early Termination Fee will apply. Lessee responsible for Maintenance during the term of the lease. Lessee is responsible for insurance during the term of the lease. Late fees may apply. See the team at Hendrick VW Frisco for all the details. ** Lease a 2019 Atlas V6 SE for $425* a month, 39-month lease. For highly qualified customers through Volkswagen Credit. Closed end lease financing available through April 30, 2019 for a new, unused 2019 Atlas V6 SE, on approved credit to highly qualified customers by Volkswagen Credit through participating dealers in Texas. Monthly lease payment based on MSRP of $38,185 less a suggested dealer contribution resulting in a capitalized cost of $35,674.45. Excludes tax, title, license, Dealer-installed options, and dealer fees. Monthly payments total $16,575 and include acquisition fee of $675. Your payment will vary based on final negotiated price. At lease end, lessee responsible for disposition fee of $395, $0.20/mile over 30,000 miles and excessive wear and use. An Early Termination Fee will apply. Lessee responsible for Maintenance during the term of the lease. Lessee is responsible for insurance during the term of the lease. Late fees may apply. See the team at Hendrick VW Frisco for all the details. *6 YEARS/72,000 MILES (WHICHEVER OCCURS FIRST) NEW VEHICLE LIMITED WARRANTY ON MY2018 AND NEWER VW VEHICLES, EXCLUDING E-GOLF REMAINDER OF WARRANTY COVERAGE TRANSFERS TO SUBSEQUENT VEHICLE OWNER. SEE OWNER'S LITERATURE OR DEALER FOR WARRANTY EXCLUSIONS AND LIMITATIONS. **EXCLUDES TAX, TITLE, LICENSE, DEALER-INSTALLED OPTIONS, AND DEALER FEES. R-LINE MODELS NOT ELIGIBLE. OFFER EXPIRES APRIL 30, 2019. 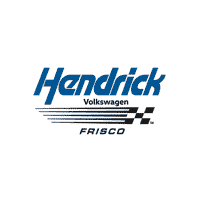 SEE THE TEAM AT HENDRICK VOLKSWAGEN FRISCO FOR ALL THE DETAILS AND AVAILABILITY.